Mindray Medical International Limited, a leading developer, manufacturer and marketer of medical devices, has this week acted as a Gold Sponsor of the Middle East’s largest health expo, the Arab Health Exhibition & Congress in Dubai (27th-30th January 2014). Arab Health is a wonderful platform for us to share Mindray’s latest innovations and ideas with medical professionals. 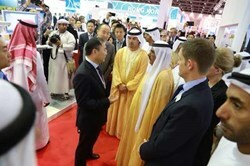 Jason Wang, General Manager, Mindray International MEA Region. Mindray’s technological innovations and star products (detailed below) even attracted HH Sheikh Hamdan bin Rashid Al Makoum, Deputy Ruler of Dubai and UAE Minister of Finance & Industry to the booth. David Yin, Mindray International General Manager met with him to introduce Mindray and its technologies, drawing the attention of both visitors and media. 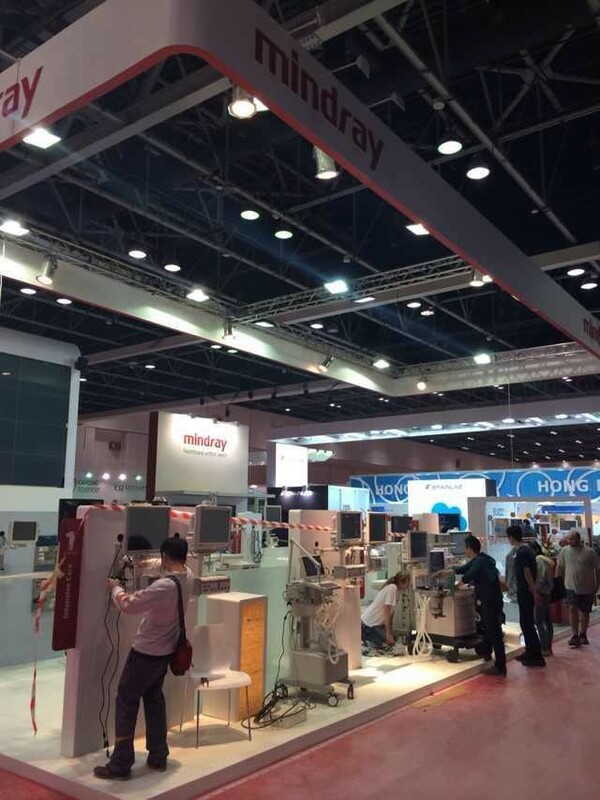 According to recent news Arab Health has witnessed a record number of new product launches and updates including plenty from Mindray. Mindray’s Patient Monitoring & Life Support team demonstrated the BeneHeart R12 electrocardiograph to visitors. The R12 employs the globally recognised Glasgow 12-lead algorithm analysis to improve diagnostic accuracy in both children and adults. The machine takes only seven seconds to start up and allows for pre-acquisition of a 10-second waveform, which enables immediate recording for faster clinical response. Mindray’s new Modular System, the OmniLab SAL 8000 was shown by the IVD team. It delivers high throughput and seamless scalable integration with the CL-2000i Chemiluminescence Immunoassay System and the BS-2000/BS-800 Modular System for accurate results, optimised workflow and user-friendly interface for operators. The OmniLab CAL 8000 haematology system will also be exhibited, a system which consolidates all the essential steps of today’s haematology tests into one powerful workstation. The Medical Imaging Systems business profiled its exciting new iLive technology for the DC-8 ultrasound system. The technology integrates traditional ray-casting algorithms with a new virtual lighting mode to generate impressive real visual effects including human-like skin images, skin scattering and interactive shadowing providing a revolutionary way to view the foetus in utero. Mindray’s Radiology team exhibited its ceiling suspended digital radiography (DR) series, the DigiEye 760 (Smart/Plus/Dual) systems which answer a multitude of radiology customer demands. In common with other members of the DigiEye range, the 760 Series is fully DICOM compatible, connecting to PACS/RIS/HIS seamlessly and further speeds up workflow by supporting network storage, browsing, query and printing. For simple full length radiography of the spine and legs and to reduce distortion, the iStitch panoramic imaging technology combines up to five images from a single scan. For surgical teams Mindray displayed its HyLED 9 series of LED surgical lights which offer excellent luminous efficiency, a heat-free light source and remarkable long service life for total support in the operating theatre. Arab Health is one of many initiatives whereby Governments across the Gulf Cooperation Council (GCC) are examining policy and reform legislation to promote private sector participation. This engagement is being employed to meet rising healthcare costs and the growing demand for new technologies across the Arab world. Mindray Medical International Ltd is a leading developer, manufacturer and marketer of medical devices.